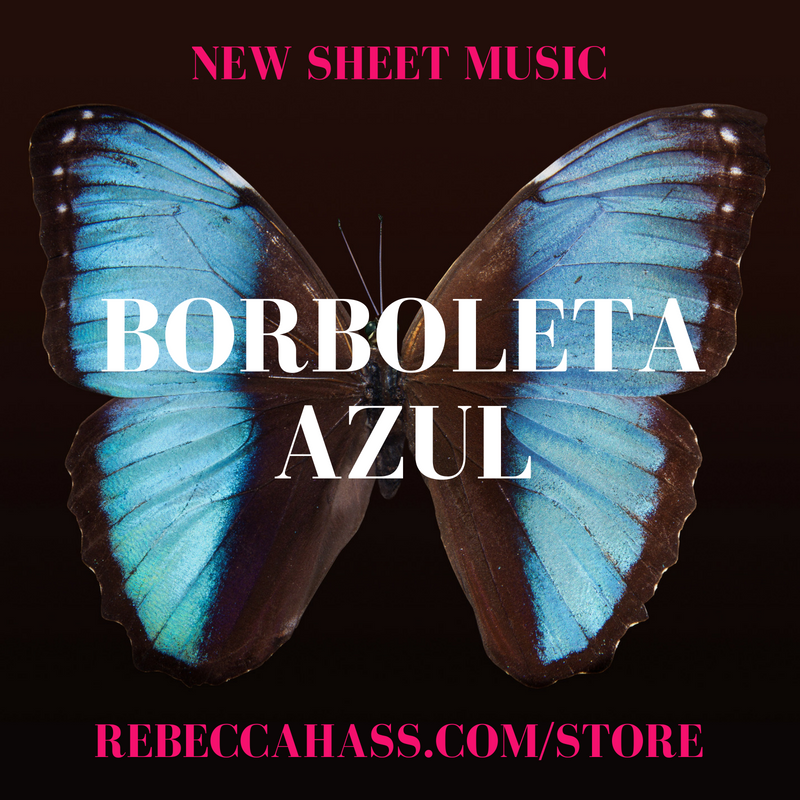 Introducing September's new release in my sheet music store: Borboleta Azul (Blue Butterfly). Like last month's new release, Baião da Bicicleta, this tune features baião rhythms, but also switches back and forth between that samba rhythms - it's a favorite of mine! Below is a preview of this track with percussion, which will be on my soon-to-be-released album of original Brazilian compositions and arrangements, Florescer, coming in October 2018! Borboleta Azul is available as a lead sheet for $2.99, and makes a great companion to Baião da Bicicleta. Each month I publish one new piece - if you want to stay in the know about new releases, hop on my mailing list at the bottom of this post! You can also check out the other pieces in my store (lead sheets and piano pieces) here.